Ines Hasselberg is a Postdoctoral Research Fellow with the Centre for Criminology, University of Oxford, and Associate Director of Border Criminologies research webpage. Ines completed her PhD in Anthropology at the University of Sussex in 2013. Her work has been published at the Journal of Ethnic and Migration Studies, Criminology and Criminal Justice and Surveillance and Society. She has edited with Dr Heike Drotbohm the special issue ‘Deportation, Anxiety, Justice: New Ethnographic Perspectives’ (JEMS 2015 41(4)), and with Prof Mary Bosworth and Dr Sarah Turnbull the special issue ‘Punishment, Citizenship and Identity: The Incarceration of Foreign Nationals’ (2015, CCJ). 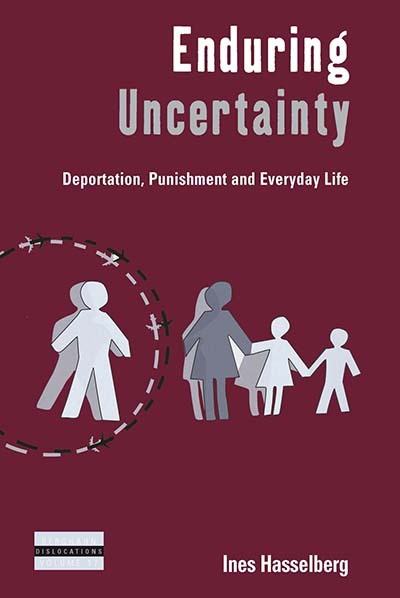 Enduring Uncertainty by Ines Hasselberg is available open access under a Creative Commons Attribution-NonCommercial-NoDerivatives 4.0 International License (CC BY-NC-ND 4.0) with the support of Knowledge Unlatched.